With the local job market continuing to improve, demand among homebuyers has continued to grow steadily despite rising mortgage rates. This demand has created record-low inventory in the Chippewa Valley. This limited inventory has many potential buyers considering the benefits of building their own home. New construction starts are up 6.3 percent compared to this time last year. New research from the National Association of Home Builders shows the extended benefits of building new construction. Houses in the Chippewa Valley are spending an average of only 65 days on the market compared to 90 days nationally. With so few options, buyers are struggling to find housing that matches their wish list. Choosing to build a new home gives buyers control over the design and functionality of the home, as well as providing some protection from expenses related to purchasing an older home such as repairs, maintenance, and upgrades. Maintenance and repair costs are up to 56 percent less in new construction homes, according to the Census Bureau’s American Housing Survey. The benefits of building a new home extends beyond the homeowner. New estimates show that building an average single-family home generates 2.97 jobs and an average of $36,603 in state and local fees and taxes. 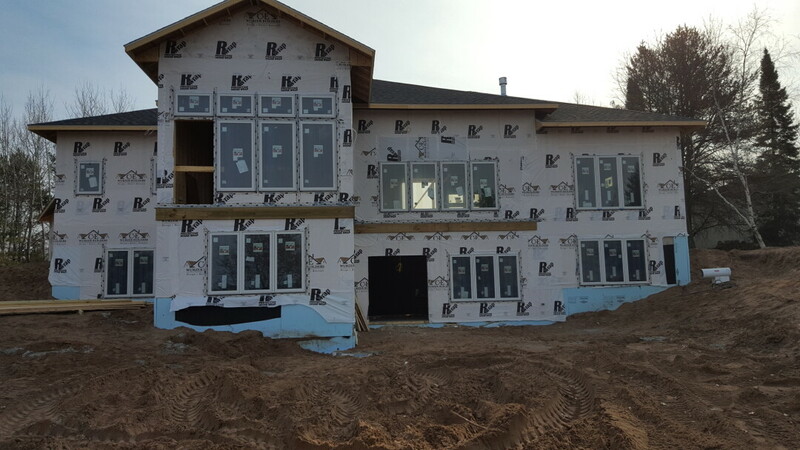 The Chippewa Valley Home Builders Association (CVHBA) is a non-profit trade association representing the area’s home building industry. Established in 1972, its mission is to build a better Chippewa Valley housing industry through promotion, advocacy and education. Representing about 350 members throughout Buffalo, Chippewa, Dunn, Eau Claire, Pepin, and Clark counties, the CVHBA is a powerful voice for the home building community.